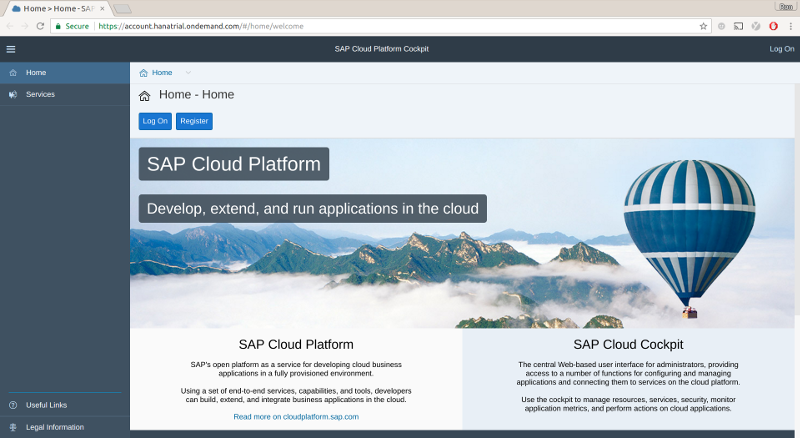 First, signup for an SAP Cloud Platform* Developer account. If you already have an account, you can skip to the next step. 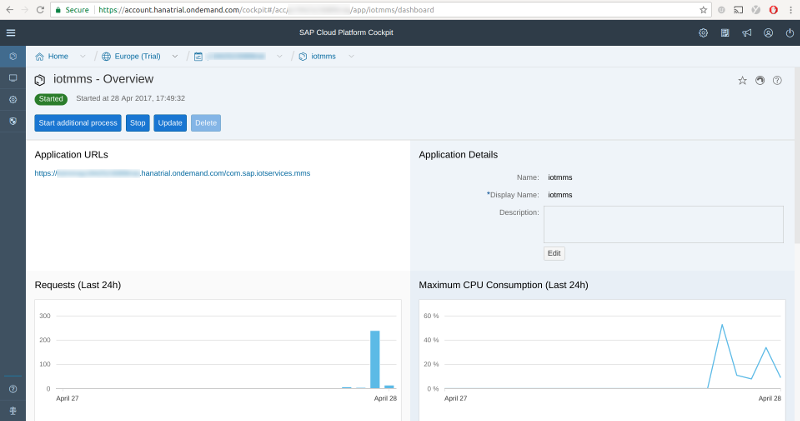 Next, enable the "Internet of Things" in your SAP Cloud Platform Cockpit. 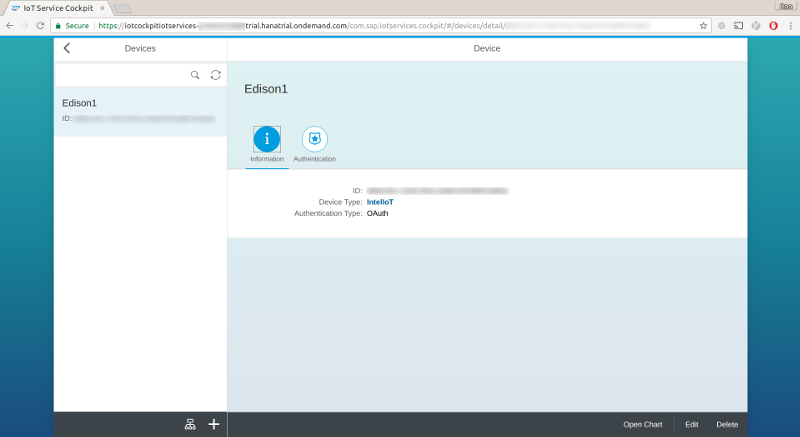 Create a Device, and copy the generated Device Token. This is will be needed later to connect the Device. Once the configuration is defined, the last step is to deploy the Message Management Service. Make sure that you perform role assignment of the iotmms application to your user account. application_url - The MMS endpoint application for your account. 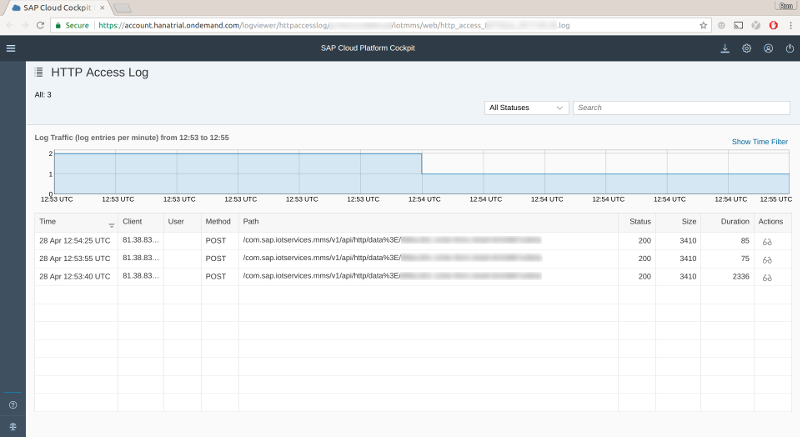 Located on the Java* Application Dashboard of your account for the SAP* Cloud Platform cockpit. device_id - The device ID for the device you want to connect. Located on the Internet of Things Service Cockpit "Devices" page. oauth_token - OAuth token for the device. This is the generated Device Token from the original setup. You can regenerate the token if needed on the Internet of Things Service Cockpit "Devices" page, using the "Authentication" tab for the device. message_type_id - OutboundMessage Type ID. Located on the Internet of Things Service Cockpit "Message Types" page. export SAP_MMS_ENDPOINT="[application_url]/v1/api/http/data"; export SAP_DEVICE_ID="[device_id]"; export SAP_MESSAGE_TYPE_ID="[message_type_id]"; export SAP_OAUTH_TOKEN="[oauth_token]"
Click the Apply button to save these settings. Click the Run button to run the code on your board. 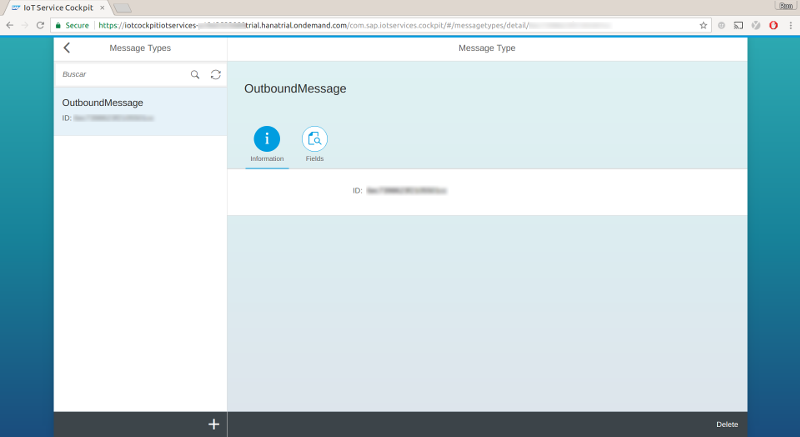 You can monitor the state of the Message Management Service application deployed in the Java Application Dashboard of your account for the SAP Cloud Platform cockpit. Click on "Applications", then click on "Java Applications". This will display a new page with the list of Java applications. Click on the name "iotmms" in the list of applications. This will open the "iotmms - Overview" page. Scroll down the page to the section labeled "Most Recent Logging". Click on the eyeglasses icon next to the "HTTP Access Logs" log you want to view, and the most recent data should be displayed in a new tab.